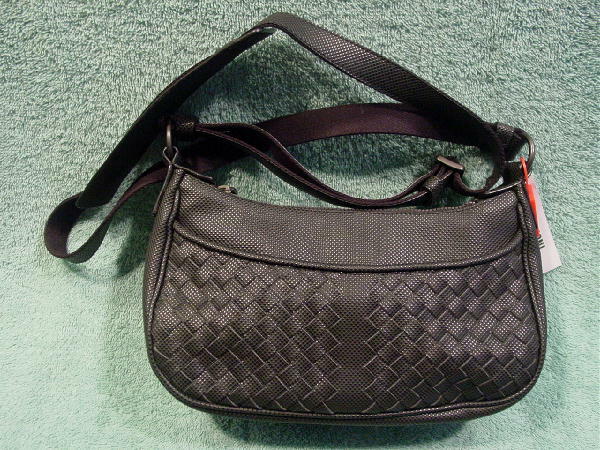 This never-used black textured purse was made in Italy by Bottega Veneta. 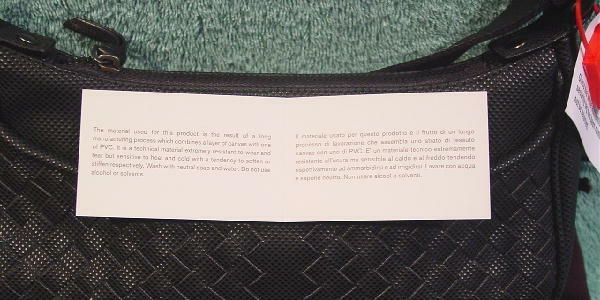 The insert card says "The material used for this product is the result of a long manufacturing process which combines a layer of canvas with one of PVC. It is a techinical material extremely resistant to wear and tear but sensitive to heat and cold with a tendency to soften or stiffen respectively. Wash with neutral soap and water. Do not use alcohol or solvents. 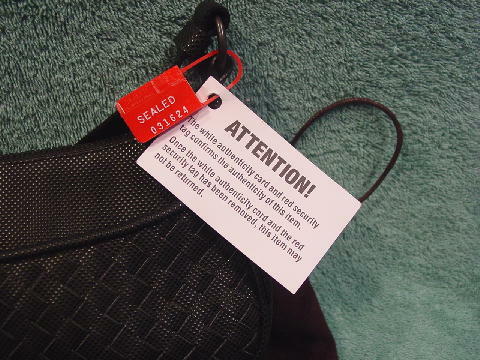 It has the Bottega woven pattern on the majority of the front, an embossed snakeskin pattern, and the front pocket has a magnetic snap closure. 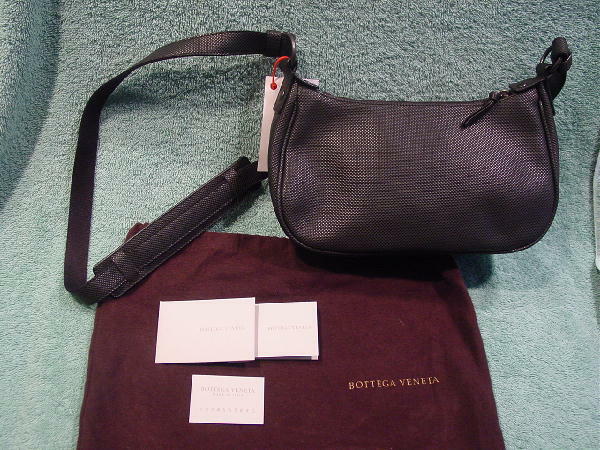 There is a black fabric lining and the main interior section has a black leather tag with an etched Bottega Veneta Made in Italy on it. 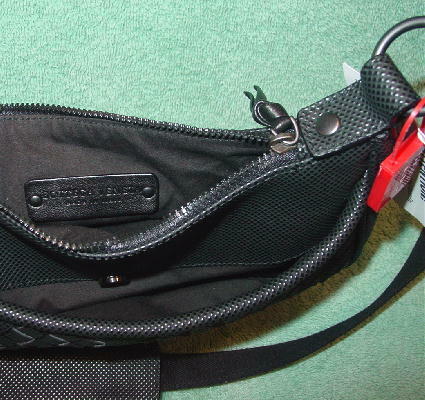 It has a top zipper opening with a leather pull. 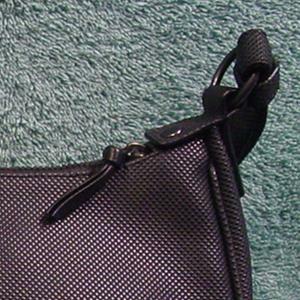 There is an adjustable shoulder strap with a fabric backing underneath it and it's attached to the purse by titanium color metal loops. It has its own brown bag. It's from a stylist who sold her personal collection. shoulder strap pad 7" by 1 1/2"